5 year old boy. 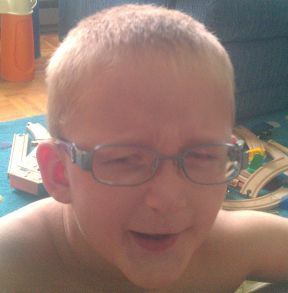 He wears glasses for iris coloboma in both eyes. Glasses are Toystory from A Child’s Eyes in PA.